The privatization of water supply and wastewater systems, together with institutional restructuring of governance – through decentralization and the penetration of global firms in local and regional markets – have been promoted as solutions to increase economic efficiency and achieve universal water supply and sanitation coverage. Yet a significant share of service provision and water resources development remains the responsibility of public authorities. The chapters in this book – with case evidence from Argentina, Chile, France, the USA, and other countries – address critical questions that dominate the international agenda on public versus private utilities, service provision, regulations, and resource development. 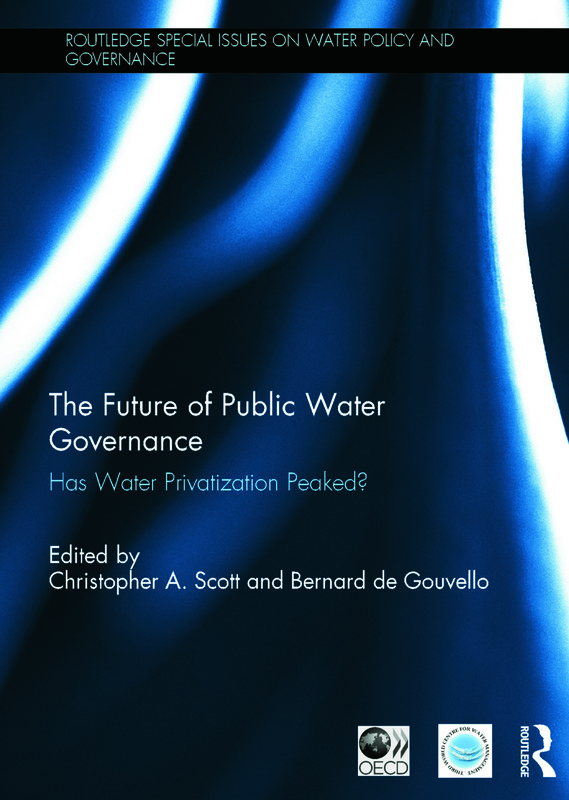 This book presents varied perspectives – largely complementary but at times contrasting – on public and private governance of water. Public authority in general is being reasserted over service provision, while resource development and investments in infrastructure continue as a mix of public and private initiatives. But more important, increased oversight and regulation of market-based initiatives that until recently were touted as panaceas for water supply and sanitation are increasingly being reconsidered on the basis of social equity, environmental, and public health concerns. This book was based on the special issue of Water International. Christopher Scott is an interdisciplinary scholar focusing on global-change adaptation and social-ecological resilience with emphasis on the water-energy nexus, urbanization, river-basin water resource assessments, and climate and water policy. His applied research on water policy focuses on infrastructure and the built environment, resource planning for urban water supply, water reuse, and agriculture, with particular attention to groundwater. Bernard de Gouvello works at the intersection of water resources and policy, and has ample experience in Europe and Latin America. He has gained international recognition for his research and publications on municipal water reforms, privatization, and public governance. Most of the world’s water problems, and their solutions, are directly related to policies and governance, both specific to water and in general. Two of the world’s leading journals in this area, the International Journal of Water Resources Development (sponsored by the Third World Centre for Water Management, Mexico) and Water International (the official journal of the International Water Resources Association), contribute to this special issues series, aimed at disseminating new knowledge on the policy and governance of water resources to a very broad and diverse readership all over the world. The series should be of direct interest to all policy makers, professionals and lay readers concerned with obtaining the latest perspectives on addressing the world’s many water issues.